More procrastination means more Thundercats! Or that was the plan, and then I realized that I'd already written up a couple episodes but hadn't posted them. You may have won this round Past-Jacob, but Present-Jacob is planning to be totally shiftless, if he can get around to it. This post contains the contents of two episodes: "Journey to the Tower of Omens" which is much more of a dungeon crawl episode (shamefully linear) than a journey and "Legacy" which is badass with its whole "the distant past and the distant future are super technological", but I didn't feel like it had that much useable content as it was just one big fluffy info dump. 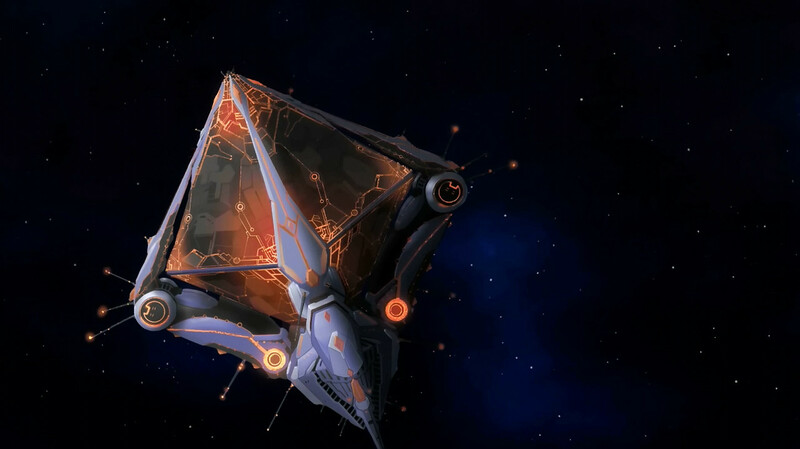 But that's ok. Pyramids in space make up for everything. I also avoided including technological related ideas (e.g., "the big bad evil guy's sleeping/regen chamber is also a tank" and "your dead wizard's soul has been digitized and put into a virtual reality console"). 01. A race of squidlike people use a single stone to power the magical offensive and defensive capabilities of their entire kingdom. 02. A book holding clues to a kingdom's past and future was taken, by clerics worshiping a god of physical speed and stamina, far beyond the kingdom's walls and hidden with the intention that it would never be found. 03. 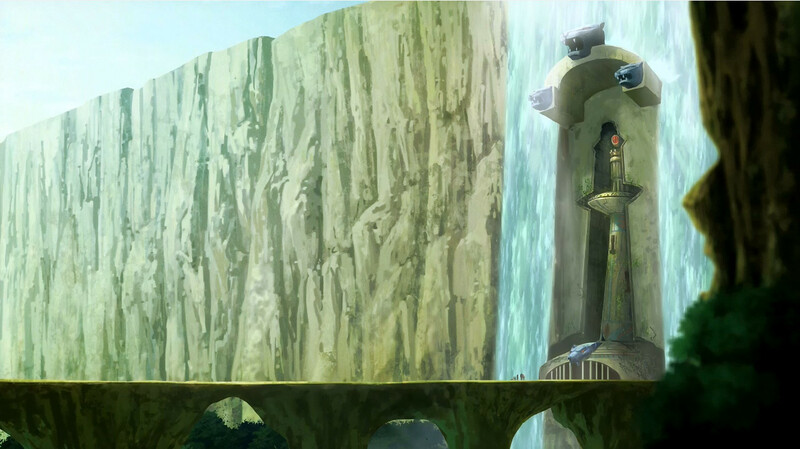 A temple build with magic and protected by ancient enchantments is hidden behind a waterfall in a remote valley far to the East. 04. A single stone bridge, built with ancient technology and no apparent supports, extends across a giant chasm filled with blades. 05. A great stone door is locked. Not to worry though, keys hang from the ceiling of the room on metal wire. One key opens the door. The other keys cause a pit to open immediately in front of the door. There are probably spikes, or maybe crocodiles. 06. Hexagonal shaped hallway. Spinning blade traps triggered by pressure plates do not stop for 1 hour, or until the door at the opposite end of the hall is opened by depressing two stone buttons (on opposite walls) simultaneously. 07. Room. Stone. 50' ceiling. Pool in center of room is illuminated from within. 1000gp sit at the bottom of the pool. Lion shaped heads carved high up on walls. One of the lion heads emits a single beam of light towards the floor. 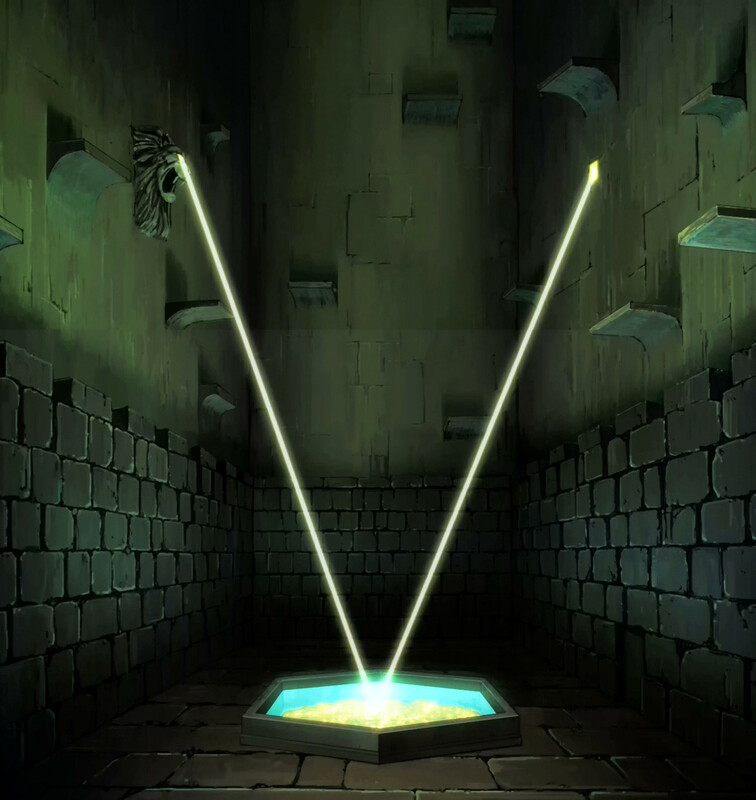 It reflects off of a pool of water filled and angles up to illuminate a lion head on the opposite wall (making a V shape). If the beam of light is disrupted (by ripples for instance) water begins to pour from the lion heads into the room. There's a grate in the ceiling and a drain in the fountain. 08. It looks like a mummy but it dodges surprisingly well. 09. A wizard, trapped in a lantern, is able sacrifice herself to cause it to emit true sunlight. 10. A magic book floats above its stone stand. It is clearly important, but it's pages are blank. PYRAMIDS IN SPACE!!!!!! Best thing ever. Nothing else matters. Winning! 01. A magic book can temporarily extract your soul and allow it to relive events from the past. The book may judge how well you do and close itself to future uses if it considers you a failure. 03. *sigh* That slave uprising will never work because the different groups that make up the slaves hate one another so much they turn on each other as much as the guards. Idiots. 04. A race of powerful weaponsmiths. They craft weapons in threes. One person shapes the weapon. 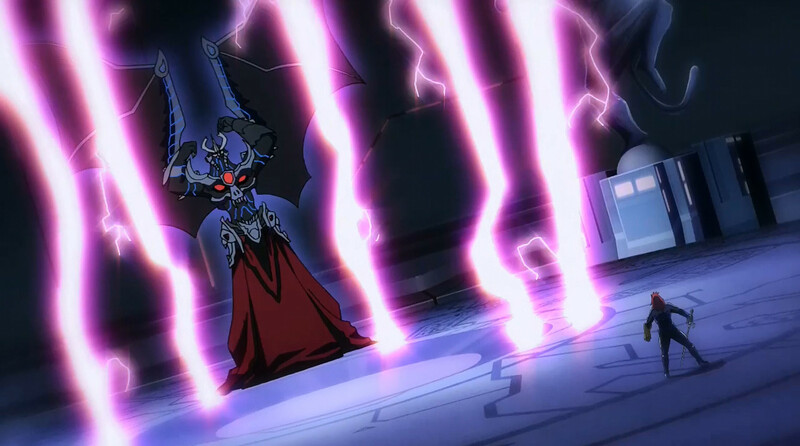 Two others emit beams of heat and light (from their hands) onto the weapon as it is worked.